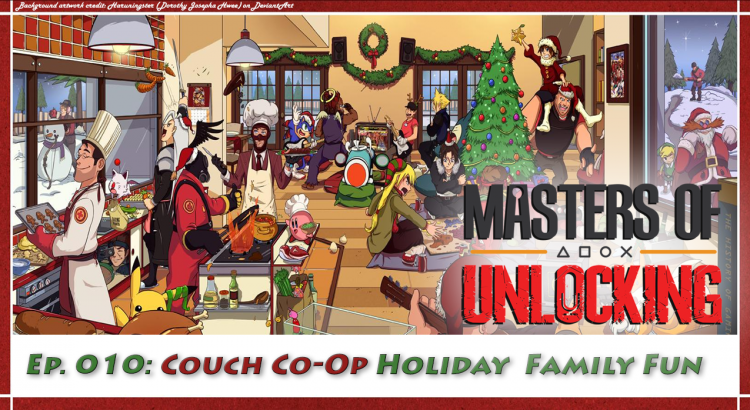 Take a timeout from your crazy family conversations this holiday season and gather ’round for some great family-friendly couch co-op games! We list our recommendations for best local multiplayer games to play with gamers and non-gamers. Caleb and VGCollectaholic recap their recent game pickups, including a Neo Geo AES system, flash carts, improved Switch Pro Controller, and more. South Park: Fractured But Whole, Rime, Ittle Dew 2+, & more. Turn your family’s holiday gathering into a video gaming delight with our highly recommended current-gen couch co-op favorites!